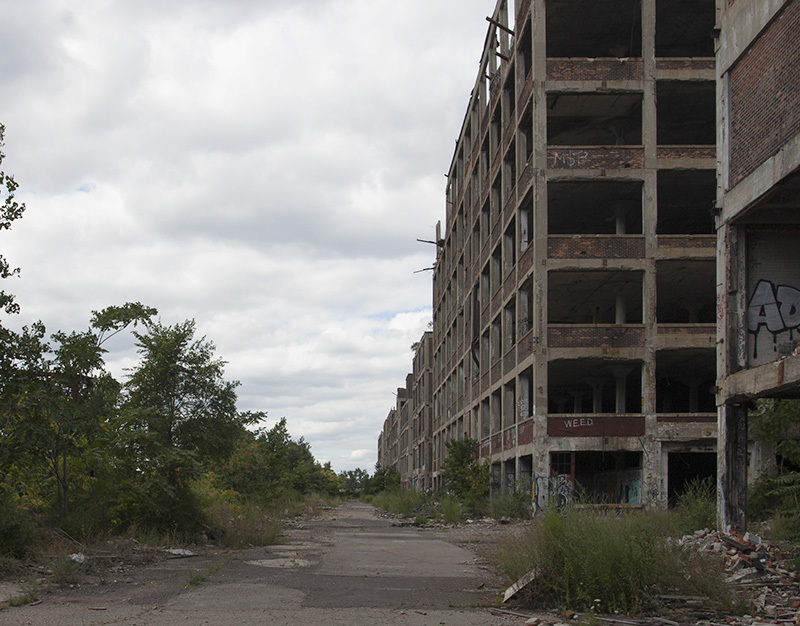 The north side of the Packard plant. 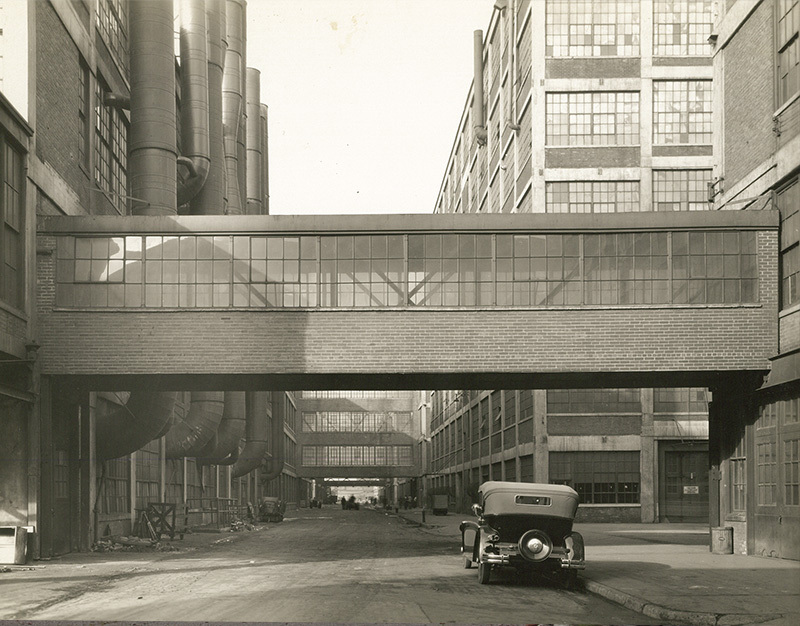 From 1958 until 1999, the plant was used as an industrial park, with tenants including the US Army, a toy warehouse, auto parts companies, and a department store. In 1999, after the city seized the property for nonpayment of property taxes, the buildings on the left were demolished before a court order halted demolition. The plant has been vacant since.